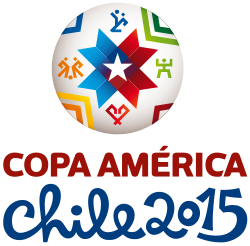 Match previews, prediction and betting tips for Copa America 2015. After smashing Paraguay during the Semi-finals’ match last Wednesday, will Argentina manage to overcome the hosts, Chile, and claim the tournament title? After their heavy defeat against Argentina, will Paraguay bounce back and overcome a well organized Peru for the third place playoff match next Saturday? After eliminating Brazil in the Quarter-finals’ stage, will Paraguay be able to overcome Argentina and seal a place in Copa America’s final? After an extremely complicated win over Uruguay last Thursday, will Chile be able to overcome a solid Peru team in the tournament Semi-finals? After a narrow and complicated win over Venezuela, will Brazil be able to take a stand against Paraguay on the last match of the Quarter-finals stage next Saturday? After a narrow and bland win over Jamaica, will Argentina be able to overcome an usually complicated Colombian side for the third match of the Quarter-finals? After their heavy defeat against Chile, will Bolivia be able to get back on track when they meet Peru next Friday? After a smashing win over Bolivia last weekend, will Chile be able to overcome an inconsistent Uruguay for the first Quarter-finals’ match next Thursday? After their quality performance against Brazil, will Colombia find a way to overcome an always complicated Peruvian side next Sunday? After an extremely difficult win over Uruguay last Wednesday, will Argentina be able to clinch the three points once again when they meet Jamaica on Saturday?